Today I am going to start a new weekly series - Tweak It Tuesday. I have a love for books and the printed word. I love anything that has words printed on it - fabric, wood, paper - anything. So it was a given that these would be something I would love to have in my decor. These are so simple to make and I use them for everything. I actually have two sets of them - one that is beachy and one that is plain. 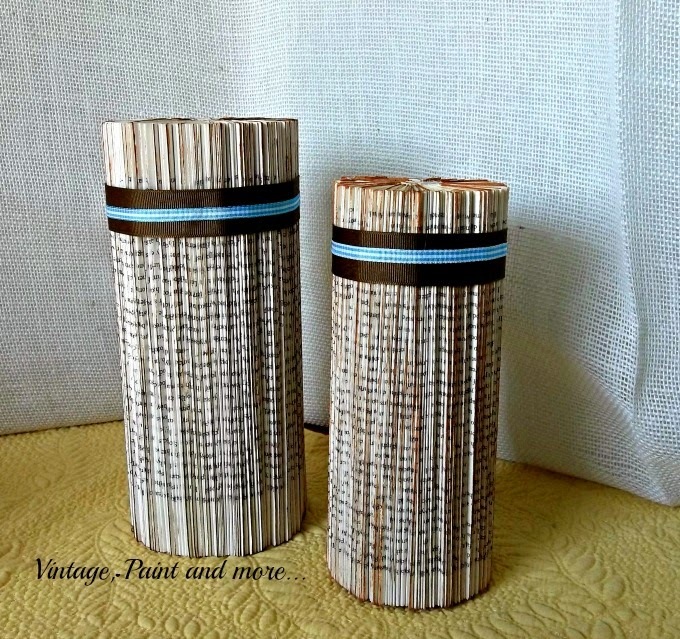 When I was younger we used old Reader's Digest Magazines to make doorstops quite similar to this. Maybe you remember those. A Distress Ink - I used a Tim Holtz tea stain one. The first step is to fold the pages of the book individually in half into the spine. This is a little time consuming and I do it while watching TV or sitting outside while Miss A is playing. A 350 page book will make a nice full column when completed but if you only have smaller books do two and glue them together. If you have a hardback book that has the wider pages just fold them twice to make the column the size you want - you can also get by with a smaller book when doing this. I have also cut books in half cross ways to make even shorter columns. Just use your craft knife and a ruler to keep your cuts straight. It will look like this when you are halfway through. I removed the cover on my book on the first one I did but, found it was more stable if you left it in place and removed it after I was done folding. Just use a craft knife to cut the cover away on a hardback book. On a paperback book it is quite easy to just tear the cover off. I save my hard back covers to paint and alter for scrapbook album covers. Now glue the front and back pages together. I also glued down the spine to make it more stable. When done gluing use the Distress Ink to lightly rub all over the sides and top of the column. This will give it an even more vintage, worn look. Now it's time to add your embellishments. I used a length of brown grosgrain ribbon with a length of blue check satin ribbon. I placed mine about 11/4 inches down from the top of the column. Glue them in place, overlapping them in the back. You can add whatever you like now to go with your individual decor or just leave them as they are. I saw her on Studio 5 one day showing all sorts of book page art which inspired me to start doing some of my own. 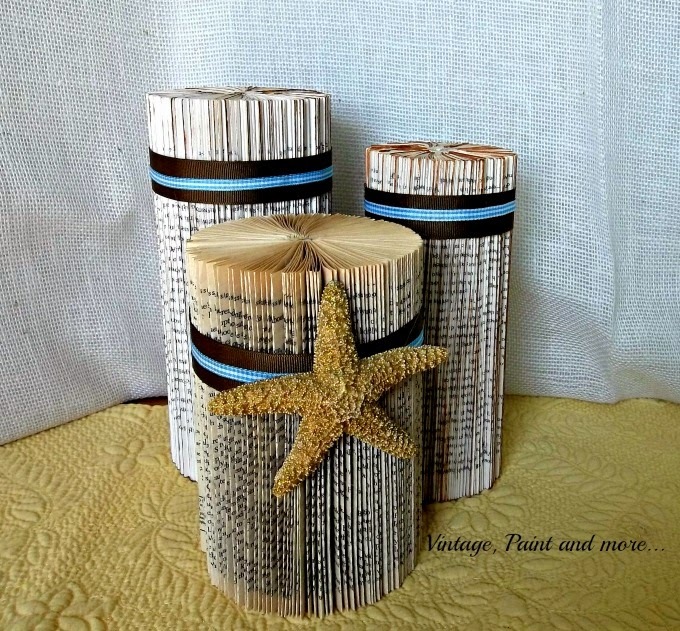 I am so glad I did because these have become a staple in my decor whether I am doing a beach theme, a holiday them or just an everyday theme. I use them all the time. I love displaying all sorts of things on top of them. I usually use these in a "beachy" theme vignette with assorted shells on top. Maybe there are some folded book page columns in your future? I answer all comments with individual emails. 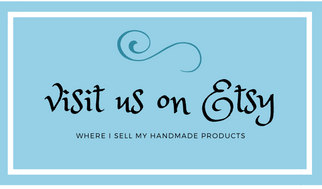 Leave me a comment - I love to hear from each and every one of you. I've not seen the book pages used in this format before, and I love your columns. Am I to understand that the height of the column is the same as the size of the book page? 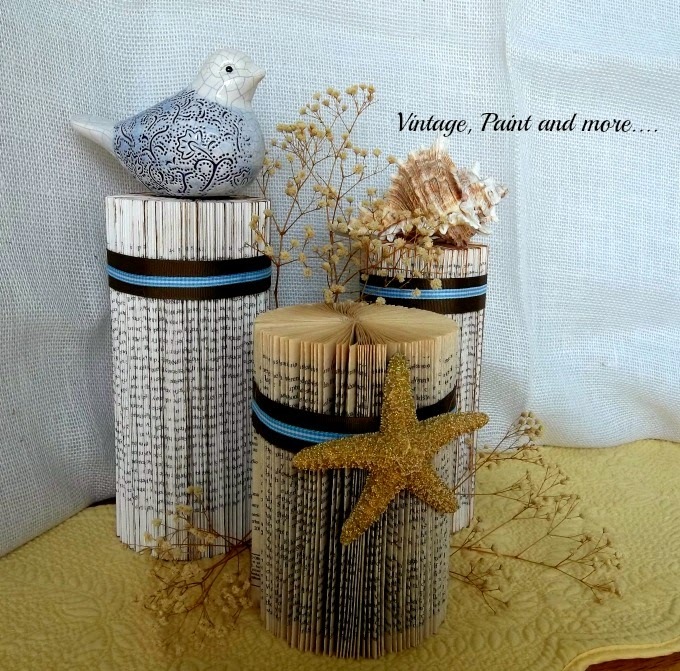 Awesome idea with old books Cathy! I would've never thought of this! Shared! Such a great idea with fabulous results. This is such a fun and creative idea. Thanks for sharing. Amazing! I love creating things out of book pages and I have ever seen anything like this. So pretty. What a great idea! I am always looking for "risers" to display items on in vignettes...this is wonderful and so creative! I saw your post over at Mod Mix Monday. I absolutely love this project! So unique and fun. I'm doing a nautical theme for Summer and this is perfect for it. Hopped over from Winthrop Chronicles link up. these are pretty neat! I love the book folding crafts but haven't actually done any yet. These columns are so cool, I want a couple of my own! 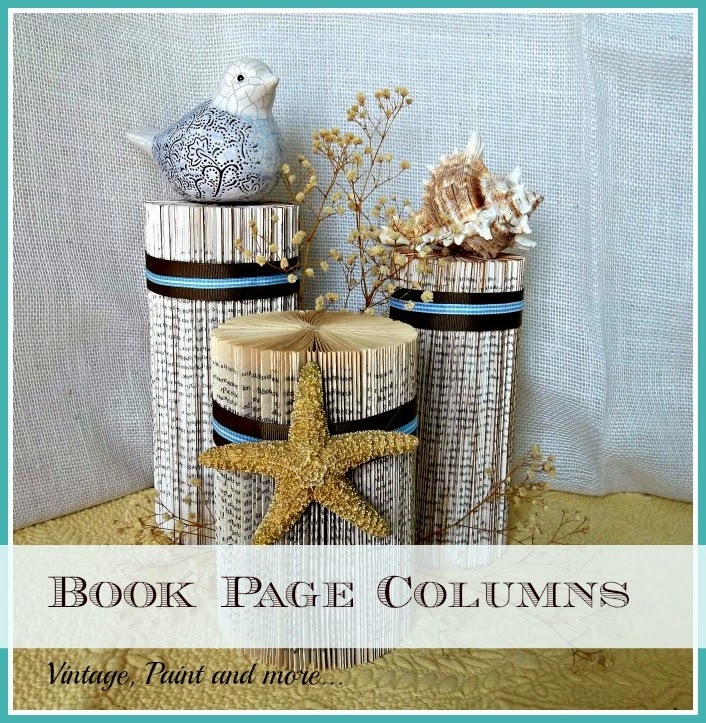 I just pinned your columns and have some ideas running through my head on where I will use them when I make them. Hi Cathy !! I think that's a great idea ! Looks fab ! 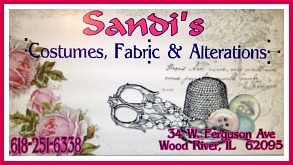 I have featured your project on my facebook page !! Love this idea! Thanks for sharing at TTF! These are so great! I'm going to try this. This is such an awesome idea! Looks so beautiful! Its always nice to see old things renewed again. Very creative and a great idea! Thanks for sharing at Submarine Sunday!! This is such a neat idea! Thanks for linking up with the Bloggers Brags Pinterest Party. I have pinned your post to the Bloggers Brags Pinterest Board! Great theme for posting Cathy! The pillars are very unique and I can see how they could be used for so many display. Thanks for sharing with SYC.